Everyone who gets sent to exile should be as lucky as France's Emperor. 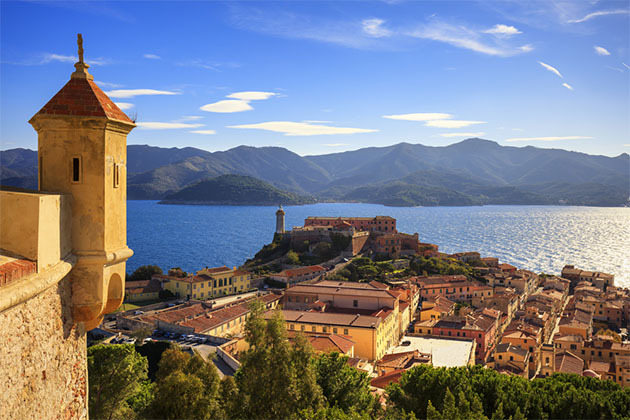 Napoleon Bonaparte might have been irritated that his empire was being stolen out from under him, but he still managed to make the most of his eight months and 22 days on the island of Elba, a bucolic slice of Mediterranean paradise off the northwest coast of Italy. The legend is that Venus' necklace broke, dropping her jewels into the sea, and one of those jewels became Elba. This island, just 86.5 square miles (224 square kilometers), has attracted and been governed by the Lugurians, Greeks, Etruscans, Romans, Spanish and finally, Italy. The mountain regions had been rich in iron ore that, once mined, was smelted by fires so numerous that the Greeks named the island Aethalia, which means "spark." Porto Ferraio, the largest city and biggest port on Elba, is located in a protected harbor, which makes it an ideal haven for yachtsmen from all over the Mediterranean. And indeed, the marina area is rich in shops and cafes that cater to the sailors who convene here. But long before this, Admiral Nelson called Porto Ferraio the "safest port in the world" because of the way it's surrounded by bluffs with exceptional sightlines; the Greeks believed it was the port of call of the Argonauts and named it Argoos. This is a charming port stop for smaller ships; you won't find mass-market behemoths disgorging their guests onto these shores. The fact that it's small and easily negotiable on foot make it an ideal day out for those who enjoy simple pleasures. 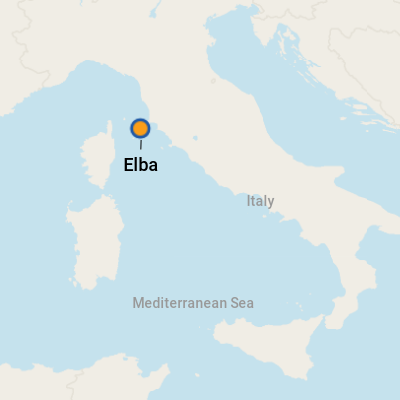 And for those who choose to explore more of the island of Elba, well, that's easily accomplished as well. The dock is in the middle of town at the bottom of the Fortezze Medicee. To the left, as you leave your ship, is the central business district and ferry docks; to the right, as you round the bottom of the Fortezze, is the marina with the yachts and upscale shops. Just adjacent to the ship's dock is a cafe bar, a nice place to stop for a coffee. It's located in the parking lot adjacent to the dock. Across the street is a large bakery/gelatteria where you can grab a sweet bite and watch the maritime activity, including all the ferries coming and going to and from the mainland. There's also a little dockfront square with nice benches; its breezy location is lovely on a hot summer's day. 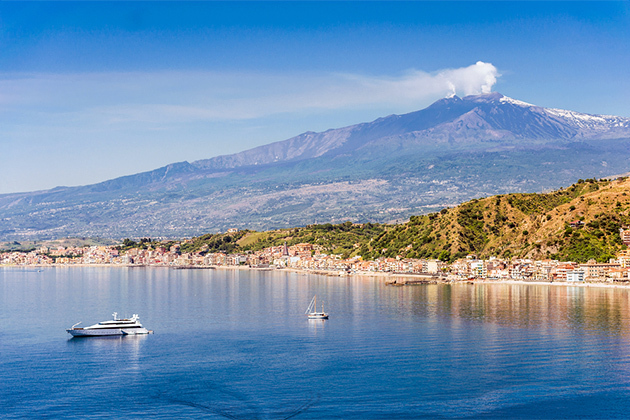 If you're going to spend your time in Porto Ferraio, almost all of it is accessible on foot. The climb to Napoleon's city house and to the fortresses can be difficult for those with mobility problems, but there are plenty of taxis. 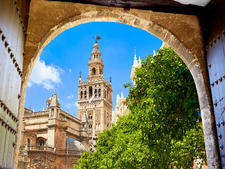 There are also tourist vans that do a tour of the city and surrounding areas, and during the summer, from the end of May to the end of August, there's a little tourist train (on wheels) that offers a series of different sightseeing tours from two to four euros. All options are easily accessed from the parking lot in front of the ship's dock. Currency is the euro. U.S. dollars are not accepted. There is a bank on Calata Italia (which fronts the port) just past the first ferry dock (Pontile com. TE G. Massimo) if you are going to use an ATM; there is a change office on the same street just before the ferry dock if you want to change dollars or pounds to euros, and there is a post office (to change traveler's checks, which banks won't touch) above the marina on G. Gasribaldi near the Piazza della Repubblica. Italian. Very little English is spoken here. Da Zucchetta: (Piazza della Repubblica 40, Phone: 0565-915331) Located in the historic center of Porto Ferraio, this little restaurant has been around since 1891 and serves everything from pizza to oysters in a charming Tuscan-inspired atmosphere. Closed Tuesdays and Wednesdays. La Barca: (Via Guerrazzi 60/62, Phone: 0565-918036) "The Boat" is one of Elba's better-known restaurants, located in the Old City. Locals love it and return again and again; you can sit outside or inside. Try the "gnocchi all'Elbana" for a regional taste or choose from among many fresh fish items. Editor's Note: There are several casual dining spots and trattorias along the waterfront at the marina.